Jeb Bush Rains on RNC Parade with another #NeverTrump Attack! Jeb Bush, who was no fan of Donald Trump heading into the convention, doesn’t look to be changing his strong stand against the racist, bigoted, misogynist. The brother of former president George W. Bush has doubled down on his criticism of the presumptive republican nominee during a critical time in the 2016 election cycle. There is much controversy concerning whether or not that Trump will even gather enough votes on the floor to become the nominee. It takes 1237 votes, and if every delegate who does not align with Trump’s heathen ways does not come to vote, then he by their own GOP “greedy oppressive party” rules will need to wait for a second vote. “Jeb Bush is carrying his crusade against Donald Trump to the doorstep of the Republican convention, saying that he is not the future of the Republican Party even as it prepares to nominate him. “Bush, once seen as the front-runner for the Republican presidential nomination, remains one of the most prominent anti-Trump holdouts in the GOP. In an op-ed for The Washington Post published Friday, Bush acknowledged that Trump had capitalized on legitimate frustrations with American politics. Trump, who has consistently belittled Jeb in the past, will presumably be nominated by the republican party in merely a few days to battle Hillary Clinton heading into November’s general election. But for the Grace of God, he will never be voted in as the nominee. Priebus and Donnie boy may not want to get their party horns out too soon. 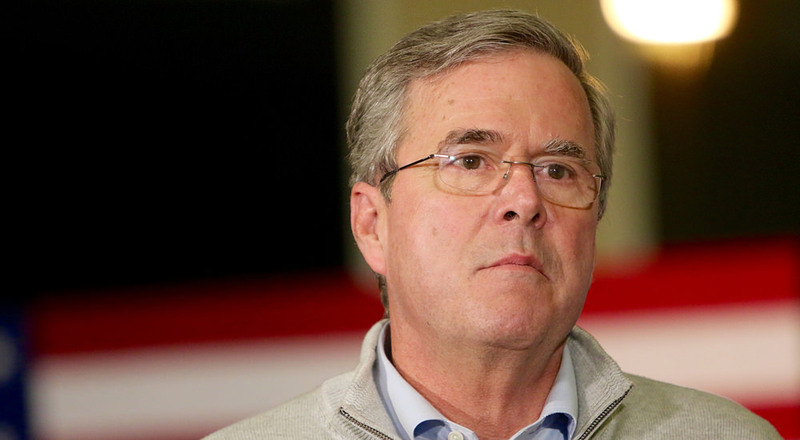 Bush’s op-ed continues his vehement opposition to Trump. During the primaries, he and Trump regularly traded shots on the campaign trail, with the real estate mogul memorably labeling him “low-energy.” After Bush dropped out following the South Carolina primary, he vowed that he would not vote for Trump and does not plan to attend the Republican National Convention. Bush isn’t the first anti-Trump Republican to suggest that he might vote Libertarian this fall. Last month, 2012 GOP nominee Mitt Romney also said he would consider voting for the Libertarian ticket, though he noted he had policy differences with them. The Republican National Convention begins Monday in Cleveland.